NEW YORK -- It’s beginning to look, and feel, a bit like Christmas in Manhattan, CBS New York reports. 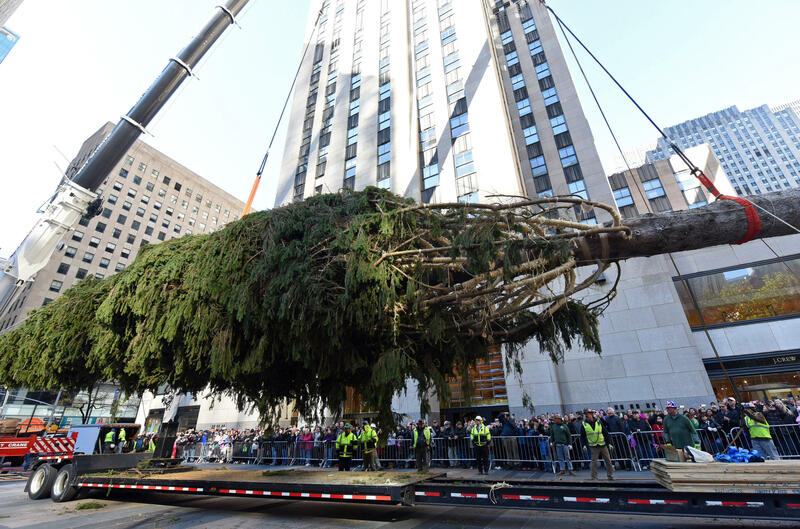 A couple of hundred adults and kids, many bundled in coats, hats, gloves and scarves, gathered in a 40-degree chill Saturday morning to watch workers putting up the Rockefeller Center Christmas tree. The 94-foot Norway spruce was cut down Thursday in upstate Oneonta and made a 140-mile truck trip. It originally was in the backyard of Angie and Graig Eichler. They were among the onlookers as it was being raised with a crane. Angie Eichler says their family has come almost every year to see the Rockefeller Center tree, but she never dreamed it would be theirs. The tree’s 50,000 lights will be switched on during a Nov. 30 television broadcast.